I’ve always been fascinated by Walter Rathenau, the German foreign minister who was assassinated by anti-Semitic nationalists in Berlin in 1922. The son of Emil Rathenau, the founder of the groundbreaking Berlin-based electrical company AEG, he had run the German ministry of war’s crucial raw materials department during World War I and created what some see as the first planned economy. However, after the war, he and other leading Jewish figures were blamed by the right for the German defeat as part of the so-called Dolchstoßlegende – the myth of a “stab in the back”. In particular, as foreign minister, Rathenau became fatally associated with the humiliating terms of the Treaty of Versailles. In a sense, his assassination symbolises the beginning of the end of the dream of Jewish assimilation in Germany. I’m very interested in the influence of German ideas and in particular German nationalism on early political Zionism. 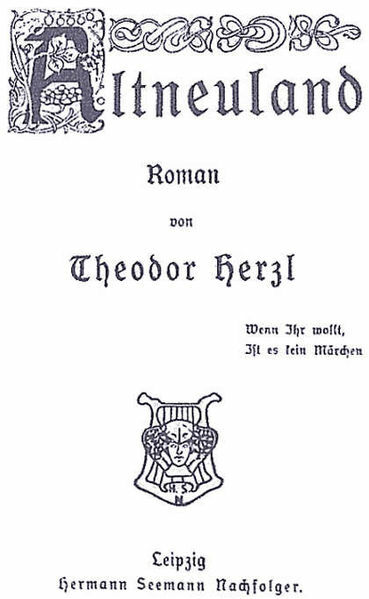 In previous posts, I’ve written about how the Utopia that Theodor Herzl imagined in his novel Altneuland was in some ways a very German one and how Max Nordau’s ideas were strikingly similar to those of German nationalists. I’ve just finished reading Amos Elon’s excellent biography of Herzl (1975), which (in contrast to Alex Bein’s earlier biography) emphasises how thoroughly German Herzl was in his ideas and aspirations. But the really interesting thing that emerges is how Herzl’s affinity for German culture influenced the political strategy that he followed in order to try to realise his dream of a Jewish state. It seems that Herzl saw it not just as a solution to the “Jewish question” but also as an outpost of German influence in the Orient. I recently read Theodor Herzl’s novel Altneuland (1902), which Walter Laqueur aptly describes in the preface to the third edition of his History of Zionism as “political science fiction”. 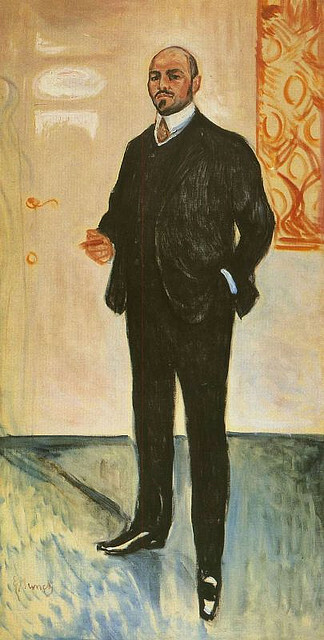 In it, Herzl imagines the future Jewish state – which, he had argued in Der Judenstaat (1896), would be propelled into existence by the misery of Jews in the diaspora – as it might be in the twenties. 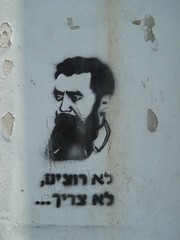 But, ironically, after insisting in Der Judenstaat that he was not describing a Utopia, he proceeded in Altneuland six years later to do exactly that: Herzl’s imaginary new society is a kind of paradise in which the economy based on the principle of “mutualism” runs smoothly, education is free and women have equal rights. Most strikingly of all, however, Jews and Arabs live in perfect harmony. “Why should we have anything against the Jews?” asks an Arab character in the novel. “They have enriched us and they live with us like brothers”. Germany is sometimes thought of as a verspätete Nation, or “belated nation”, in other words one that became a nation state much later than comparable European countries like Britain and France. The term, which comes from Helmuth Plessner’s 1935 book of the same name, is closely connected to the idea of a German Sonderweg, or “special path”. But isn’t the ultimate “belated nation” – albeit in a slightly different sense – Israel? Of course, Israel is in the Middle East, not Europe. But although it was realized in the Middle East in the twentieth century, Zionism came out of nineteenth-century Europe: it was conceived by assimilated Jews like Theodor Herzl as a response to European anti-Semitism and was also influenced by European and particularly German nationalism. Israel is thus of Europe even though it is not in Europe – one of the paradoxes of Zionism. Originally uploaded by Hans Kundnani. Since I visited Israel for the first time in April, I’ve been thinking a lot about where legitimate criticism of Israel ends and anti-Semitism begins. I’m currently reading an excellent German anthology (includes essays by Tony Judt, Jeffrey Herf, Gerd Koenen etc.) on the debate about whether there is such a thing as a “new anti-Semitism” (especially on the European left but also in the Islamic world). It’s a theme that also runs through my book, Utopia or Auschwitz, which tells the story of Germany’s 1968 generation. In fact, the book is among other things a case study of how one small group of people went from criticising Israeli policy to attacking Jews.